Nothing beats amazing live performance music. Your physical presence at a huge live concert is just awesome. The feeling of incredible music creeping through your skin and captivating your soul is just an experience you want to create over, and over, and over again. If we could only recreate that every time you play music in your car or at home, can the best 6x9 speakers do the trick? It’s interesting that today’s speakers have evolved substantially from the previous decade’s version. From the conventional round speakers, we now have oval and square shaped speakers. They still operate in the same way that they used to be. The only thing is, some manufacturers have found out that changing the shape of the speakers can bring out more out of it. To give you more idea and help you find out which is the best 6x9 car speakers, we selected 10 of the most popular speakers in the market. This will save you countless hours of searching for the right one for you! Pioneer is a Japanese Company that is known for their quality of make and durability. This company was founded in 1938 and has since manufactured remarkable home and professional consumer electronics. The company started as a small radio repair shop and rapidly expanded its manufacturing after the 2nd world war. This three-way speaker is sold in pairs. This device is 6 inches tall and 9 inches wide. The combined maximum output of the two speakers is rated at 420 watts. The manufacturer guarantees that you will not hear sound distortion even at extremely high volumes. The manufacturer has greatly improved this model to give better low-frequency response that translates to deeper bass. This device features a three-way projection of frequency that is separated with built-in crossovers. Each speaker channel is optimized to render the right frequencies for excellent projection of music. The surround is made of a lightweight and elastic polymer that withstands extreme beating. To make sure that you will never have a problem with this unit, they made the cone with multi-layered mica matrix that renders excellent music. The product includes a mesh grill that covers and protects the surface of the speakers and an efficient cooling basket with vents to prevent the speakers from overheating. This speaker spews out deep bass and excellent mids and highs. This three-way speaker comes with a mesh cover grill to protect the mounted tweeters and cone. This product is the best 6x9 speakers for bass. It can easily render frequencies as low as 28Hz without distortion. This product is made of high-quality mica matrix cone. Installation may be a little difficult as you would probably need to modify your mounting brackets. Polk Audio, according to the company, characterizes the Great American Sound. They were established in 1972 and become notably known for their outstanding home and car speaker setups. They started with professional audio applications and sooner found out that they have better designs for home and automobile audio. People who have enjoyed and fallen in love with their professional equipment patronized their other products too. This model is a three-way speaker that can be purchased in pairs. It comes in a stylish silver finish with a seven-spoke mount for the twitters above the center of the cone. It is fitted with a durable butyl rubber surround, and the cones are made of mica composite and polymer. It has a 1-inch liquid-cooled polymer dome twitter that gives out clear highs. It has 125watt maximum output that does not distort even in maximum volume. It renders crisp mids and good bass. You can play it for long hours without overheating the magnets. This product is made by a well-known, reputable company. It delivers good mids and highs. The surround is made with top-notch butyl rubber. The cones are made of mica composite and polymer. This product has universal mounting brackets. It only has 125 watts of maximum power output. 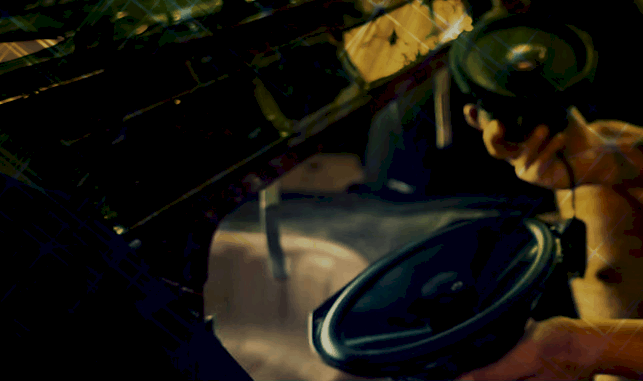 Since the inception of this company, Rockford has revolutionized the car audio industry. They make some of the best car speakers for bass you can find in the market. They focus on the quality, functionality, and aesthetics of their designs. To make excellent car speakers, marine, home, professional, and other audio applications, Rockford only has the best audiophiles behind working behind the scenes. To make the best 6x9 car speakers, they started with using the best quality materials they can find. This 6x9 three-way speaker packs a punch and covers the low, mid, and high frequency ranges with ease. It’s fitted with a vacuum propylene cone for maximum durability and excellent projection of sound. The surround is made of tough rubber that will last a lifetime. The midrange and tweeter are mounted at the center of the 6x9 bass speakers to cover all frequencies. It has a smart integrated crossover that divides the frequencies and channels it to the right speaker size for better sound projection. It comes with grills and all the mounting hardware you need to install it in your car. This product is manufactured by a well-respected company that is known to make top-quality speakers for many applications. This three-way speaker projects clear sound and deep bass even at low volumes. The cone is made of sturdy vacuum propylene cone. This product has excellent sound quality and rich mids and highs. It only has 130watts peak power and 65 RMS. It lacks a few notches of bass response. May need bracket adjustment or modification if it does not readily fit your speaker mount on your car. With over 35years of experience in making high-quality speakers for different applications, Rockford has mastered its craftsmanship. They value outstanding performance of every device they make and would not be satisfied with mediocrity. Over the years, they have revolutionized the technology of car and marine audio speakers and spurred its competitors to follow suit. This product is fitted with Rockford’s patented FlexFit basket that improved ventilation for better performance. This two-way speaker can render as low as 60Hz up to 22kHz. This speaker set has a maximum power output of 150watts and 75RMS. This set will fill your car with great music at high volumes. The cones are made of mineral-filled propylene injection molded cone with a one-year warranty coverage. This two-way speaker comes with grills and mounting device for easier installation. Rockford is a leading brand that promises top-quality products. It provides great music at high volumes. This two-way speaker is designed with FlexFit Basket that improves heat dispersion for better performance and easier mounting. This item is quite pricey. Needs to be cranked for better sound quality. JBL is a known loudspeaker and consumer electronics company that is based in America. This company was founded by James B. Lansing in 1946. The company was later acquired by Harman International in 1969. Harman continued what James B. Lansing started and manufactured high-quality speakers under JBL brand. Today, most JBL is most notably known for their portable speakers and home applications. This model boasts 300watts peak power packed in each speaker set. This three-way speaker can run at 200 watts all day long without a hiccup. It has a stylish grill and excellent craftsmanship. This product is designed to deliver loud music with clarity. It delivers deep bass as low as 46Hz. The cones are made with their patented Plus One® carbon-injected material that boasts durability and excellent sound projection. JBL made sure that the magnets are well vented so you could play music for long hours without having a problem. The mounting brackets fit most cars, and it comes with a mesh grill cover for a stylish finish. These Plus One® cones are made with carbon-composite material for superb durability. The mounting brackets are made with durable fiber-reinforced plastic for reliability. This speaker can safely handle up to 300watts of output. Has an RMS rating of 200watts. This three-way speaker projects rich and deep bass. Mounting the speakers can be quite a challenge. Alpine Electronics is one of the leading manufacturers of excellent performing home, mobile, and professional electronics that started in 1978. They focused on miniaturizing and making consumer audio electronics mobile without sacrificing quality. They strive to provide top quality and high-fidelity speakers for automakers and aftermarket consumers with the best price. Alpine’s 6x9 two-way speakers have a massive 600watts peak power per pair. The grills are built to protect the woofers, tweeters, and cones. The hybrid cone is made with multi-layer fiber for astounding sound projection. The mounting brackets fit most door panels, and all the screws and mounting devices come with the box. The tweeters at the center of the speakers are adjustable to give you better control over your music’s field of coverage. This speaker has excellent bass and can project as low as 65Hz. This two-way speaker has a high combined maximum power rating of 600 watts/pair! The tweeters are swivel adjustable to easily tweak sound coverage. This product comes from a reputable company. ​Infinity Audio is another company owned by Harman International. This company was founded in 1968 and was acquired by Harman on1983. Harman International has a sharp eye finding the best audio companies and placing them under their wing. They are a competitive company that focuses on research to innovate and pushes the limits of technology further ahead. This three-way speaker has an excellent aesthetic design that will make your head turn. It has a futuristic embossed mesh grill that protects the tweeters and cone from dust and damage. This speaker set boasts a combined peak power rating at 660watts. It can be safely used continuously at 220RMS without sound distortion. The cones are made with carbon-injected fiberglass for maximum durability and outstanding sound projection. The odd shape of the speakers gives you more surface area compared with conventional speakers. This translates to deeper and richer bass response. These speakers boast crisp highs and mids with creeping and crawling deep bass for your audio satisfaction. Infinity made sure that you can play this as loud as you want without breaking your speakers at 300watts maximum output rating. It covers the full range of sound spectrum even at low volumes. It has excellent deep bass. The highs and lows are remarkable. Infinity gave it a stylish futuristic design. You may need an amplifier to squeeze out every ounce of output from this speaker. Kenwood is a Japanese company that has proven the quality of their craftsmanship since 1946. Since their founding, they have been manufacturing radio equipment, personal audio devices, professional audio equipment, and other applications. Today, the company aims to be the best manufacturer of world-class communication devices and other loudspeaker applications for home, professional, car, marine, and other uses. Kenwood’s three-way speaker is made with a 6x9 woofer that offers good bass response. It fitted with a 2” cone tweeter and a half inch ceramic super twitter mounted at the center of the woofer. A pair of this speaker gives you a maximum output of 400 watts. This three-way speaker is rated to have 45RMS each for continuous playing. It comes with mounting screws and grills. However, you may need to purchase additional universal mounting brackets to make it fit on your car door panel. The speakers are made of durable materials that can withstand a beating. The cones are made of sturdy propylene material that can resist wear and tear even at harsh playing conditions. This speaker has 400watts of maximum power output per pair. three-way speaker has one 2” dome tweeter and ½” ceramic super tweeter. This product comes with protective and stylish grill covers. Can support and render as low as 30Hz without distortion. Only has 45RMS which are quite low. Needs to be cranked up louder for better sound quality. JVC, Japan Victor Company, is a brand that manufactures home, professional, and other consumer electronics that is based in Yokohama. This company was the first to introduce the VHS (Video Home System) that many people have enjoyed in the 80’s. The company has managed to make its name known across the world with world-renowned quality. This 6x9 speaker from their J series is one the best aftermarket speakers you can install in your car without too much fuss. It has 400 watts of maximum power that can work even without augmenting your setup with an amplifier. The cones are made of sturdy mica for durability and great sound projection. To make sure that the speakers will last, the finished it with a hybrid rubber surround that will keep the cone from detaching. These speakers are a great replacement for your stock speakers and can be put 6x9 speaker box for easier mounting as kickers. This speaker system offers up to 400watts of maximum output. They are great replacement for your stock speakers. You can box them and set them up boxed at the back of your car. This product comes from a world-class company that manufactures with superb quality. Only has 45 watts RMS. Not the best speakers to play long hours with high volume. Boss Audio has been in the market and competing with the huge brands for more than 30 years now. With their innovative approach, they can stay at the top of their game and provide consumers with excellent consumer electronics and loudspeakers for home, professional, and other applications. Inside Boss’s company are audiophiles that would not stop until they have created and come up with the best of the best. Boss’s 6x9 three-way speakers are made with outstanding quality. Each pair can give a maximum power output of 400watts. It can handle frequencies as low as 50Hz up to 20kHz without a problem. They can operate continuously at 200 watts RMS without having problems like distortion and overheating. To create speakers that will last a long time, Boss used top notch materials. The woofer cones are made with poly-injection that is sturdy to withstand 400watts of power at maximum. The surround is made of durable rubber that will keep the cones in place while giving it flexibility. The company covers 60-day money back guarantee for their products. Boss is a known manufacturer of quality speakers and other audio devices for home, professional, automobile, and other uses. Has a deep bass and can go as low as 50Hz. It has 100watt RMS for each speaker. This speaker set is affordable. The tweeter it comes with is not the best in the market. May require some special mounting devices to fit some cars. There is no doubt that 6x9 speakers, this odd shaped speaker, have gained their popularity since their inception. They have proven to be space efficient with its unorthodox design. It fits the car door panels without consuming half of your door! They give excellent bass with its larger cone and improves your music experience while you are driving. Some high-power output speakers can even start you a party! Looking at the list, it’s can still be a little difficult to make a decision. However, if you just want to chill and hang out without taking too much time in setting up Pioneer 6" x 9" 3-Way Speaker has the deepest bass response at 28Hz. It has 420watts of peak power that can play well even without an amplifier. It’s not too expensive too, and it’s easy to install and replace your stock speakers. The best speakers usually come with a high price. Established companies have mastered craftsmanship of high-quality products and translate to higher price than most. And more likely, the cheap items are quite not good enough, and sub-standard quality can even lead to screwing your system! It’s really not advisable to buy cheap knock-offs. But sometimes, the best sounding speakers cost quite a fortune. The good thing though, is that you chose to study first before making a purchase! Keep these things in mind before your purchase to make sure you end up with the right type of speakers. We often take a look at how much power output speakers have. The higher maximum output means that your speakers can render loud music at high volumes. However, you may want to be more particular with the RMS. RMS ratings are usually half of the peak power rating. RMS determines how many watts your speakers can play without overheating the magnets and coils. To simply put it, RMS should be your prime consideration when choosing in relation to how loud you want to play music! Two- and three-way speakers cover the full range of audio frequency without a problem. However, if you want pristine quality, you may want to have a look at the actual numbers. Lower numbers mean that you will have more bass response. The higher numbers mean how much high frequency you can get. Most people are looking for more responsive and deeper bass response from their music. Numbers lower than 60 can give you the best creeping bass that crawls on your skin! You can add more speakers to your system without installing an amplifier. Your stock head unit can drive your speakers with no problem too. However, if you decide to install high watt speakers without equipping an amplifier, you may not be able to squeeze out the best out of your aftermarket speakers. Having an amplifier can get you the most volume and clarity from your high output speakers. However, if you do not plan on playing loud music and just chill with clear and pristine music while driving, you may not need to amplify your speakers. Speakers come in different sizes. The conventional circular speakers have the widest range of different types and styles. Odd shaped and compact speakers, through technological advancements, have been getting attention for their space saving features. Square speakers and oblong speakers have been proven to maximize the surface of the cone and project excellent sound quality. 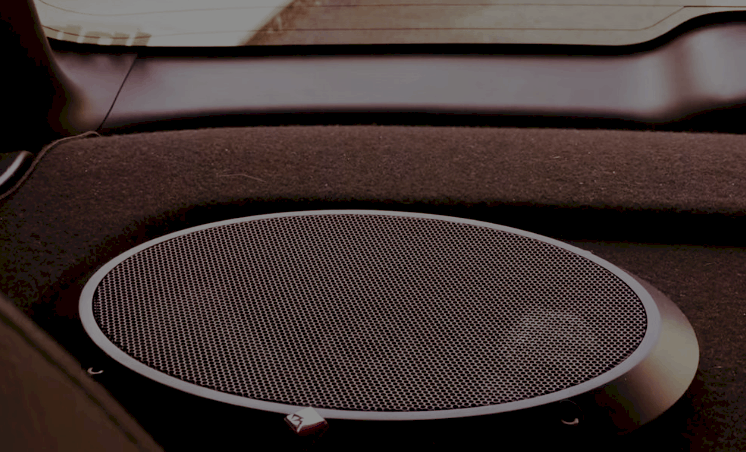 With the odd shape, people can fit speakers larger than 6inches without having to modify the car door panels. Car door panels have quite a limited space. The Best 6x9 Speakers will help you enhance your musical experience while you drive around town. They fit most car door panels. Sometimes, they may require special mounting brackets or minor modification to fit.